HouseBuyerNewYork.com is the #1 home buying business that helps homeowners in the Nassua County, New York area sell their houses quick for fast cash. We sell your house for you, so you don’t have to endure the lengthy, and at times disappointing process that comes with selling a home. We have a high success rate, a proven track record, and a flawless reputation. 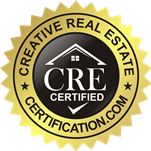 We have a wealth of experienced and are not real estate agents so we will never charge a commission which means more money for you. Fill out our quick, Fast Cash Offer form to get started, or call us at 631-877-8119 today to learn more.